The 1st ASSET Training Division is one of the pioneers of Security Education and Training in India. It provides expert tuition, vocational training, and qualifications. In this role 1st ASSET works in partnership with key industry representatives to define and meet current and future training needs within the industry. Our facility in Gurgaon is perhaps the only such technical training centre in India that houses the latest security equipments. Our Training Division imparts hands-on training on the correct ways to select, install, operate and maintain, Intruder Alarms, Access Control, Closed Circuit Television (CCTV), Fire Alarms and other types of Electronic Protection Systems. We offer a wide range of technical courses within security related fields. These courses are run in-house at our training facility in Gurgaon or imparted at our customer's locations. Courses are available to meet the training requirements of personnel at all levels, from foundation courses for those with little or no previous experience of the industry to highly advanced programs for Senior Managers, Career Security Professionals, Engineers and Technicians. The Consultancy Division provides services including site surveys, risk analysis, and system design. It has the capability, contacts and resources to gather the required information and also the analytic skills to assess such information and suggest mitigation measures to its clients. It provides expert unbiased advice. Wherever needed 1st ASSET assists in tender preparation and bid evaluation. It can also conduct installed system evaluation and render assistance in framing Standard Operating Procedures. The The Publications Division publishes India’s most widely read and respected SECURITY TODAY, the Magazine that Best Sums up the Indian Protection Industry, which is a monthly, now in its seventh year of publication. It is targeted mainly at end-users and is an excellent brand-building vehicle. It also publishes the SECURITY TODAY SOURCING GUIDE which is a listing of the manufacturers, distributors, dealers and system integrators on a category and region-wise basis all over India. The publications division has recently launched SECURITY UPDATE, a monthly targeted at the security business community of manufacturers, distributors, dealers and system integrators. Our BookMart provides a wide variety of Security Education and Reference Books. The Events Division lends its expertise in organizing conferences and managing events such as road shows, buyer - seller meets for fire and security companies seeking new markets, better branding and visibility. 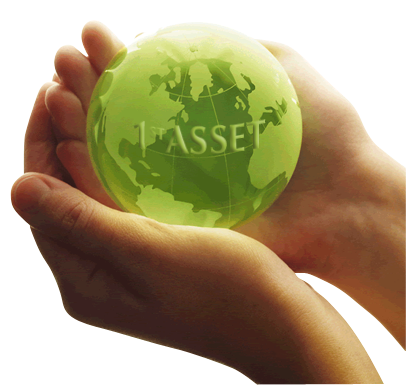 The 1st ASSET team comprises of qualified and highly experienced professionals.